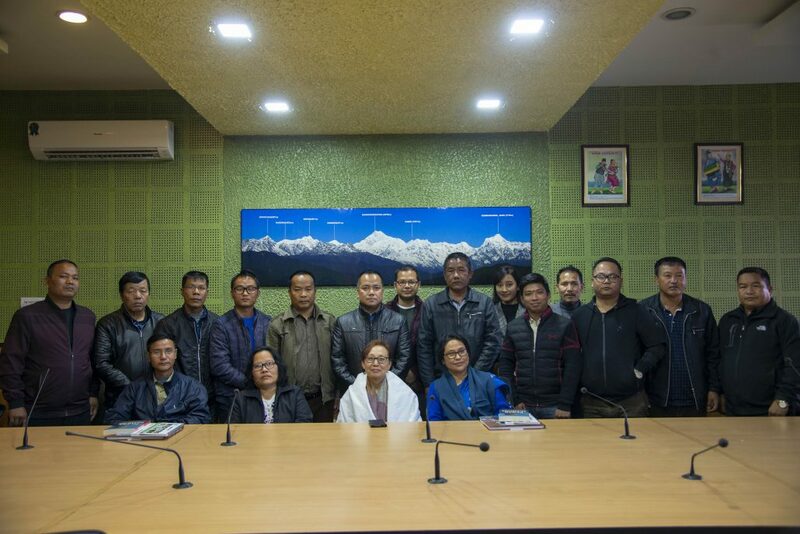 A team of ten journalists from Mizoram, led by two officers of the Department of Information & Public Relations, Government of Mizoram, is presently on a four-day exposure visit to Sikkim. The team reached Gangtok on Thursday evening. The team called on the State chief secretary A K Shrivastava in his office on Friday afternoon. Chief secretary welcomed the team members with traditional khadas. He apprised the team about the array of developmental works being undertaken by the state government. He also gave a brief insight into the functioning of the media in the State. 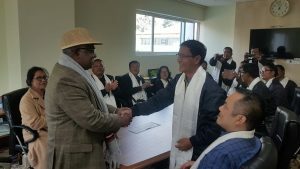 The team members shared that the purpose of their visit to Sikkim was to get a first-hand knowledge of the successful initiatives of the Government of Sikkim. They also expressed their desire to learn about the working methods of the State IPR Department and the media fraternity. The meeting also had the presence of director, IPR, Parinita Lama. The team then visited Soochna Bhawan, Tadong, where they met and interacted with secretary, IPR, Sherap Shenga and other officers of the department. The secretary briefed them about the role of the Department in the dissemination of information related to the Government. She also shared the activities of each of the sections of the Department. The secretary and officers of the Department took note of some of the unique initiatives and good practices of DIPR, Mizoram. The team then visited each section and understood their functioning closely. The team from Mizoram is led by information & public relations officer, DIPR, Mizoram, Andrew H Lalremruata and his colleague Dr Lallawmkima, IPR officer, and comprises ten senior journalists representing leading vernacular newspapers and television channels in Mizoram. The team will meet and interact with the members of the Press Club of Sikkim on Saturday and will visit the landmark Nathula Pass on Sunday.